Bite-Sized Books are short, easy to read, introductions and guides to business. There are two series, Bite-Sized Business Manuals and Bite-Sized Business Books. More information and suggestions are available at www.bite-sizedbooks.com. Bite-Sized Business Books are less process-focused and address business management and business development, as well as softer issues. Developing a business plan is a straightforward process but it is often turned into a mystery and an art and, worse, confused with creating a business case. This Bite-Sized Business Manual is designed to go to the heart of business planning, focusing on the essentials. It will give the reader a solid foundation for creating and developing a business plan that will both achieve its purpose and meet the needs of the several different audiences. Whatever the nature of the business you are working on and the type of business development you are analysing, this manual will guide you directly to the point. 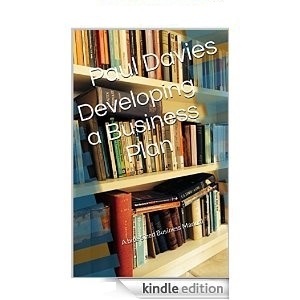 A business plan is essentially simple in its aim. The whole purpose of the document is to obtain investment, which can be time, money or resources, or all three, that a particular changed way of working requires. As a result of a successfully approved business plan, a business can develop, change, advance, gain new revenue streams or exploit a new market with current products or services. The outcome from business planning is what is important, and that outcome isn’t a perfect business plan. The aim is a valid document that underpins business development and isn’t ignored once it has been accepted, but is continually revised in the light of changing circumstances. Creating a business case is often confused with creating a business plan but in reality the business case is usually a sub-set of the business plan. It has a different function from the plan and is designed to provide the essential financial information to support a business plan. At its simplest, and in Microsoft Office terms, it is the Excel Spreadsheet to the plan’s Word Document. This Bite-Sized Business Manual is designed to go to the heart of developing a business case, focusing on the essentials. It will give the reader a solid foundation for creating and developing a business case that will both achieve its purpose and meet the needs of the several different audiences. Whatever the nature of the business you are working on and the type of business development you are analysing, this manual will guide you directly to the point. A business case is essentially simple in its aim. The whole purpose of a business plan is to obtain investment, which can be time, money or resources, or all three, that a particular changed way of working requires. The business case will show why this is a good step forward and give the rationale for the business change. It may show, for example, a great return on investment, a way of protecting a revenue base, or an essential step that the business must take – or all three – and its main aim is to change or reinforce a particular point of view in at least one individual. As a result of a successfully approved business case, a business can obtain what it needs to develop, change, advance, gain new revenue streams or exploit a new market with current products or services. A business case, either on its own or as part of a business plan should therefore be geared entirely around the objective of justifying the investment and commitment of the company to a new or revised direction. A business case should err on the side of caution, anticipating higher costs than might be expected, and lower revenues. The intended audience or audiences will be more likely to review and approve a business case that represents the risks and the opportunities cautiously. Constructing a business case is based on making it as flexible as possible, so that all the costs and the revenues, the time lines and the outcomes are easily changed so a proper model that seems appropriate to all reviewers and approvers can be created. The outcome from developing an effective business case is what is important, and that outcome isn’t a perfect business case. The aim is a valid document that underpins business development and isn’t ignored once it has been accepted, but is continually revised in the light of changing circumstances. 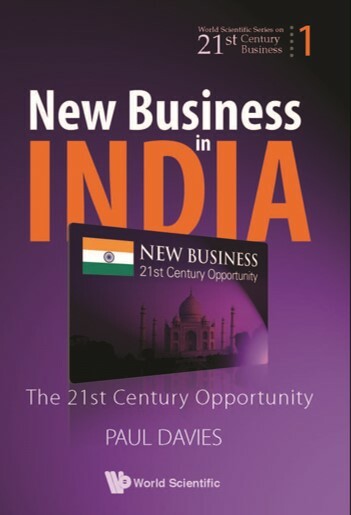 India is the default location for offshoring, whether it is IT or business processing and this book, based on Paul Davies's experience as managing director in India for a major US IT and services company, is designed to help businesses make the right decisions about working with India. Doing business in India is very different from doing business in the West - and there are five chapters on business and other etiquette which will give you more confidence in dealing with the exotic and challenging business environment that India represents. Taking you through the whole process of offshoring and outsourcing from the initial business planning through to implementation, this book will give you insights that will be invaluable, looking at the hidden costs and the hidden benefits of going offshore to India. India is still growing at more than 5% per annum, as it has done all through the global recession. There is a growing middle class acorss the country and markets are opening up for goods and services that Western companies should be providing. Entering that market is not straightforward, with a number of hidden obstacles, regulatory and cultural and this book is designed to smooth your maarket entry and help you consider whether this is the right moment to make that strategic move.. The opportunity is vast, the costs in financial terms will not be huge - but the costs in management time, frustration and elapsed time will be significant. This book takes a clear-eyed view of how to plan and decide on entering the market. The Indian market is growing fast, it is attractive and it should be on every company's list to consider for an expansion target. New Business in India, is written in a straightforward way so that you can make the right decision - at the right time.